Are you unable to concentrate because of anxious thoughts? 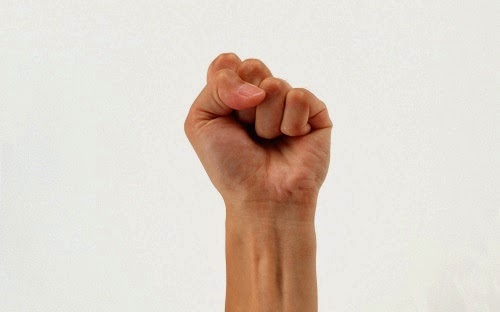 One easy way to calm down fast is by making a fist with your non dominant hand and squeezing it for 10 seconds. Scientists found that making a fist stimulates the right side of the brain, which controls mechanical actions and draws focus away from the left side of the brain, which is associated with worrying and over-thinking. By doing the fist squeeze, you'll sail through your task with a calm, clear head.